The growing popularity of Bitrix24 as a project management platform (now used by over 3.5 million companies worldwide) means that many companies are wanting to migrate their tasks from Trello, Asana, Basecamp, Wrike and other solutions to Bitrix24. 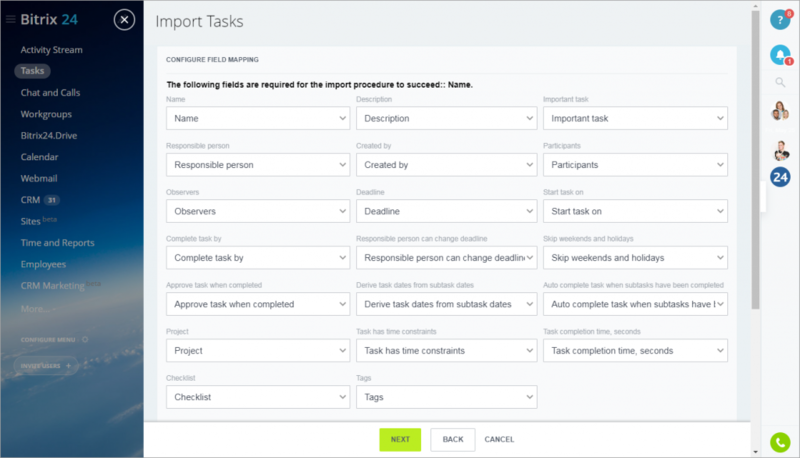 We've added a basic CSV task import mechanism, which means that you can easily migrate tasks between different project management platforms using a basic Excel file. Here are the instructions. As usual, if you need assistance with this, don't hesitate to contact your local Bitrix24 partner. How we improved our ROI for PR tenfold.